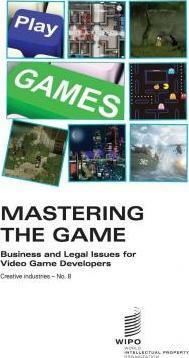 The main objective of this publication is to explain the significant business and legal issues for the better promotion and protection of game developers' copyright works. The interactive entertainment software industry is where cutting-edge creativity meets the latest technology. This publication, the first of its kind, brings to the forefront the key issues identified by experienced attorney, Mr. David Greenspan, along with his colleagues, Mr. Greg Boyd, Mr. Jas Purewal and Mr. Matthew Datum.